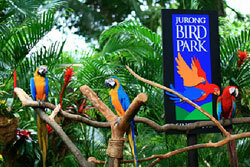 See the largest and finest collection of almost 1000 birds and almost 2000 tropical plants from Indonesia, Asia, Europe, Australia, Africa, South America and other part of the world. 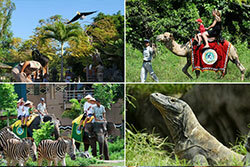 Home of hundreds amazing, rare and endangered animals. Get more excitement by riding elephant around Savannah, or watch the Animal Parade Show, Balinese dance, Barong performance, Educational Corner program, and don't forget to watch the Bali Agung Theatre. 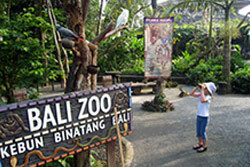 It's a perfect wildlife conservatory and home to the finest collection of Indonesian and other countries exotiq animals. 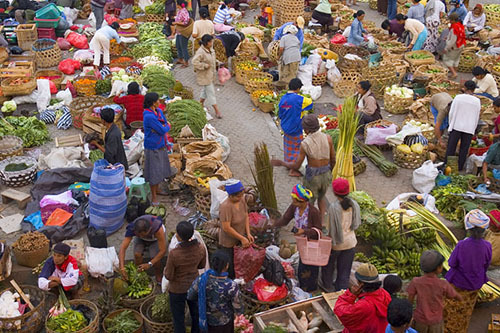 Nestled between the village of Nyuh Kuning and Padang Tegal in Ubud. 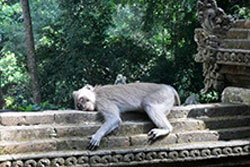 Watch out for local monkeys, as they have been known to steal food and belongings of visitors. 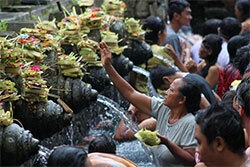 Known as a holy Geyser, the water is used for more than 30 functions, such as: cleansing the body, removing evil temptation, ceremonies and rituals, and many more. Mount Kawi means carving in the mountain. It's the monument of King Udayana and his son. When arrived, you may see the Vihara Buddhist monastery, and feel like getting back to 11th of century. 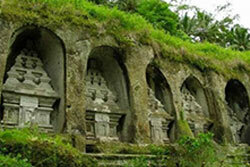 Located at Bedulu village, 26 km from Denpasar, see the ruins of Balinese palace complex, complete with a huge cave for hermitage. Two experiences in one! 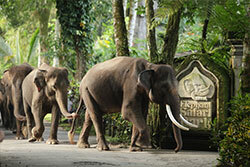 See the wonderful Balinese village of Taro from top of elephant's back. 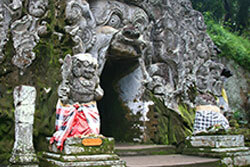 Taro is located in the village of Tegallalang District in Gianyar regency.